Owning a great cleanser means that the most important part of your skincare routine is taken care of. 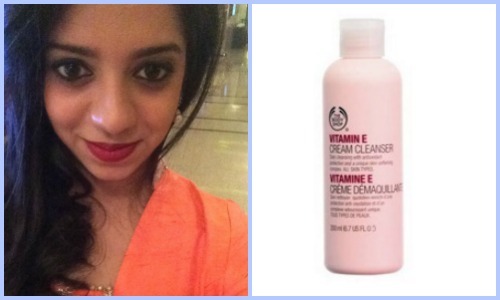 It helps remove excess makeup, unclogs pores by removing oil and dirt and gives you a clean and clear complexion. 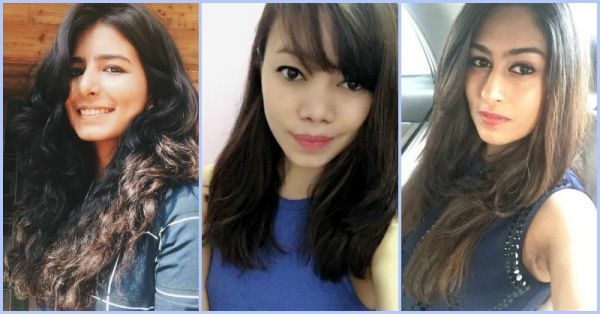 Read on to know the best tried and tested cleansers Team POPxo swears by. 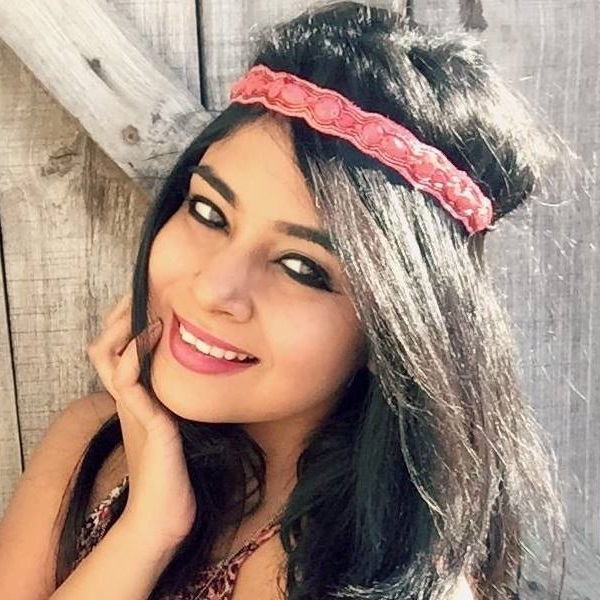 These are products they’re fiercely loyal to and claim they work like magic on their skin. Favourite Cleanser: Cetaphil Cleansing Lotion My dermatologist recommended this face wash to me years ago when embarrassing breakouts were one of my life’s biggest problems. I have been using it for years and I can’t think of using any other cleanser, though pimples aren’t such a major problem anymore. It’s so mild that it’s perfect for even sensitive skin (like mine) and you will never have breakouts. 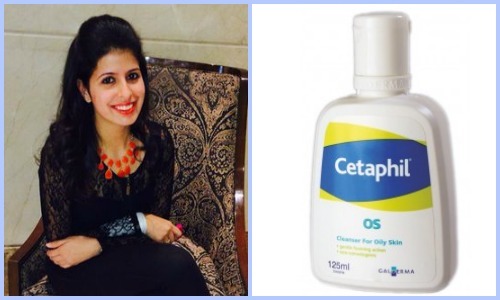 Perfect for all skin types, you know your skin is in safe hands with Cetaphil. 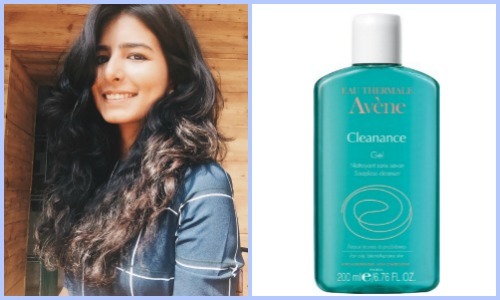 Favourite Cleanser: Avene Cleanance Soapless Gel Cleanser In the past, I’ve dealt with a lot of skin issues (including acne). In the last 2-3 years my skin has cleared up, but I still don’t trust just any product I see on the television or in a store. About a year ago, I went to a dermatologist just because my face wash was over (it was a deep sea minerals product that wasn’t available in India) and I needed a recommendation for a new one. He advised me to try Avene Cleanance Soapless Gel Cleanser. Trust me, I’m SO glad I took his advice! It’s very mild and refreshing. It’s exactly what I needed. You might initially think that it’s a bit pricey, but in all honesty, it’s worth every penny! 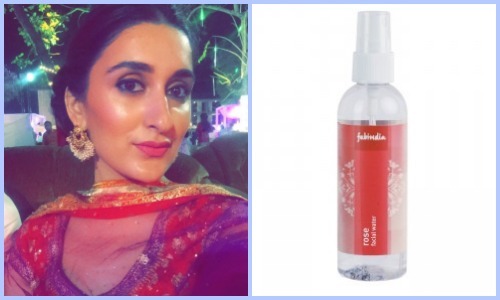 Favourite Cleanser: Fabindia Rose Face Water My favourite facial cleanser is actually just good old rose water from Fabindia. I use it religiously to wipe my makeup off and cleanse my face every night before heading to bed. Not only does it wipe my makeup off beautifully, but it works great as a toner as well. Plus, I'm never worried about my skin having any sort of bad reaction to it! 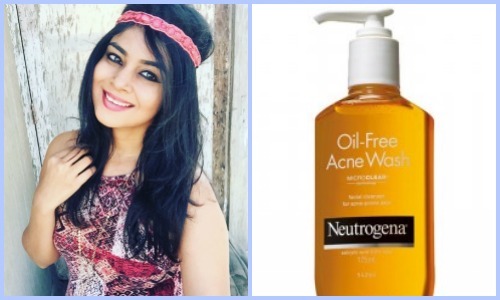 Favourite Cleanser: Neutrogena Oil-Free Acne Wash No matter how many times I would wash my face I could never get rid of the spots, oiliness and dullness. I tried many products but none of them gave satisfactory results. One day I told my cousin about this and she suggested that I try out Neutrogena’s Oil-Free Acne Wash. After using it for some time now, I can say that I can’t go back to using any other facial cleanser. It’s perfect for oily skin as it unclogs pores, and it contains salicylic acid which is a magic ingredient for treating acne-prone skin and does an amazing job of keeping pimples at bay. Plus it makes my skin so smooth. I’m so happy I found this cleanser. 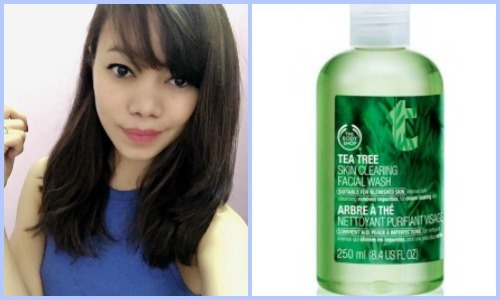 Favourite Cleanser: The Body Shop Tea Tree Skin Clearing Facial Wash I absolutely love The Body Shop Tea Tree Clearing Face Wash! It removes makeup and dust in a single wash and leaves my skin feeling fresh and rejuvenated. The face wash leaves a tingly sensation on the skin right after you use it, so you know it's working. I would recommend this to anyone with combination to oily skin. 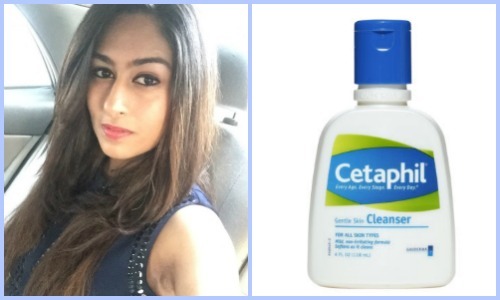 Favourite Cleanser: Cetaphil Oily Skin Cleanser I have really sensitive skin and also had a major pimple problem a few years back...and trust me, that was the worst thing that could ever happen to me! My dermatologist suggested I use nothing except Cetaphil Oily Skin Cleanser twice a day. It’s been three years and it has worked wonders for my skin. Favourite Cleanser: Neutrogena Extra Gentle Cleanser I have really sensitive skin, so I avoid using a lot of products on my face. I find normal foaming cleansers a little too harsh. I also have a hyper sensitive T-zone, so I have to be extra careful about what I use on my face. 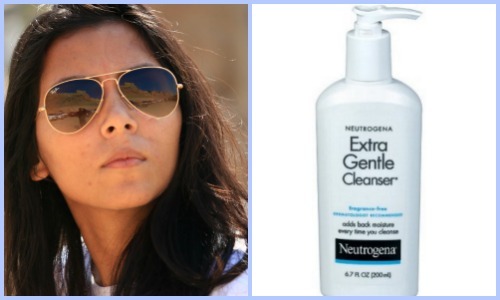 For me, the Neutrogena Extra Gentle Cleanser fits the bill perfectly. I use it every night as a part of my night routine and it suits my skin perfectly. It is also a great product that can double up as a makeup remover. Favourite Cleanser: The Body Shop Vitamin E Cream Cleanser I’ve been a fan of The Body Shop's Vitamin E Cream Cleanser since college. It doubles up as a makeup remover and moisturiser as well. I use it every night to ensure that my face is dirt and makeup free. It leaves my skin feeling soft, smooth and fresh.